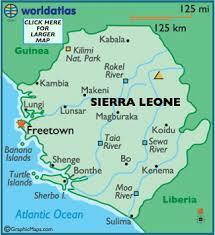 The Freetown City Council (FCC) has contracted a private company to collect property tax on its behalf. The Credit Recovery Agency will be responsible to collect property tax on behalf of the city authorities covering six wards, mostly located in the affluent western part of the city, according to the MoU signed by the two institutions. The officials said on Monday that the MoU signed last week between the representatives of the Council and the company, which specializes in tax collection was for a pilot project lasting for a year. They added that the project, which started March 1, 2017, could be extended based on the performance of the company. Lack of expertise and other resources have limited the ability of the cash trapped FCC to collect taxes in general and property rates in particular.